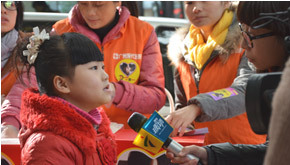 Little Jingwen is a 9-year-old girl who comes from Hunan Province China, where is thousand miles away from Modern Cancer Hospital Guangzhou. However, her story has already affected people from across the country. 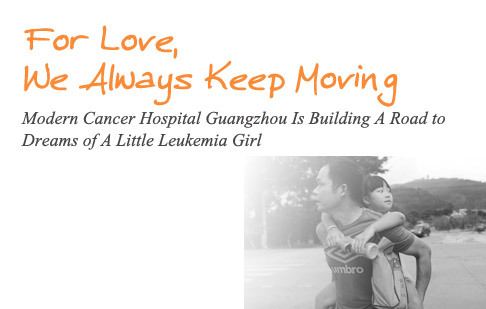 As a little girl, even though she is suffering from leukemia, she never cries out her pain. She began to learn cooking at the age of 4 and shouldered housework at the age of 7. These are generally adults should do. The dance related to dreams by Little Jingwen on Hunan TV has touched millions of TV viewers. People from across the country began to give this family a hand through different ways. Love Aid is like a relay race, which runs in succession throughout the country. An Orthopedic Hospital in Hunan Province has done the steel plate removal surgery for her father for free. Now, Modern Cancer Hospital Guangzhou has brought this family to Guangzhou. On December 16th, Peng Xiaochi, Director of Oncology Department of MCHG and WangXin, Director of Breast Surgery Department of MCHG had a joint consultation for Little Jingwen’s mother. The final treatment plan was to have the Biological Immunotherapy, which means infusing immune cells to Jingwen’s mother. 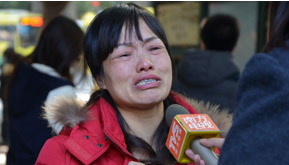 “Jingwen’s mother has already had radical operation for her breast cancer. What she needs now is to remove the residual cancer cells in her body and improve the immunity of the body, in order to prevent the metastasis and recurrence of breast cancer.” Director Peng said. Biological Immunotherapy is a kind of tumor biotherapies. It kills and wounds tumors directly or induces the anti-tumor immunoreaction of the body via transfusing immunocyte with antitumor activity into patients. “ I like singing and dancing. I hope I can become a star in the future. 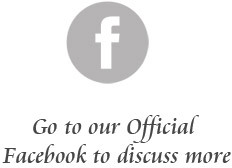 I hope I can have my own film company, so when I can make money, I can also help those in need. 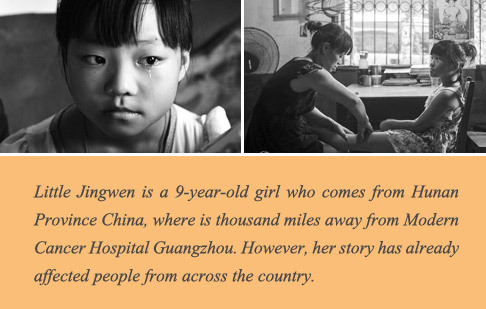 Now I hope to sing songs for those children who are ill like me to make them feel at ease and happy.” When Little Jingwen is asked about her wishes, her answer is never just a beautiful toy or a pretty dress. The wishes beyond her age are all from her sick body, which let her understand what is responsibility and what is mutual help. However, once Jingwen’s illness breaks out, she will be on the verge of death. Currently, she is only relying on drugs to maintain a conservative treatment. Bone marrow transplantation is the last hope for her. In China, Chinese Bone Marrow Bank has tried their best, but still hasn’t found a suitable bone marrow donor for Little Jingwen. Life Aid will never stop within a country’s border. The nine overseas offices of Modern Cancer Hospital Guangzhou, which include Manila Office in Philippines, Bangkok Office in Thailand, Jakarta Office in Indonesia, Ho Chi Minh Office in Vietnam, etc, visited the local blood centers the first time they received the illness data of Little Jingwen. Although it will be more difficult to find the suitable bone marrow abroad, we still believe that the power of love will finally beyond the national borders and create miracles. On December 18th 2013, at the exit of Xiao Bei Metro Station, which is the busiest metro station in Guangzhou, people are hurrying come and go in the rush morning. Volunteers from Modern Cancer Hospital Guangzhou and Guangzhou Volunteer Association worked together to start the charity sale of “One Yuan Jingwen Milk”. As long as the bone marrow transplantation is available, the surgery expenses will be an astronomical number for Jingwen’s family. 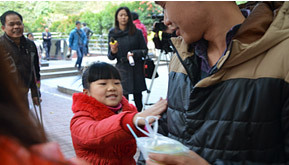 “One Yuan Jingwen Milk, Power to Save A Girl’s Life”, this slogan encouraged people passing by. They were moved by the little leukemia girl who was selling milk hopefully in the cold morning. They stopped and bought milk from the little girl. Volunteers from Modern Cancer Hospital Guangzhou indicate that except for material donations from the public, they hope all the Chinese people both domestic and abroad can get moving to donate bone marrow spontaneously. 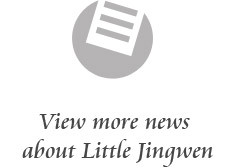 This is not only for Little Jingwen, but also for every patient who is in need of bone marrow. 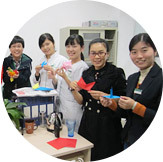 As the most influential overseas cancer hospital in Guangzhou, Modern Cancer Hospital Guangzhou shoulders the responsibility of saving all the cancer patients and also the mission of publicizing cancer prevention knowledge and encouraging patients to fight cancer positively. Since its establishment, the hospital has always been together with its patients. For this leukemia girl Jingwen, Jingwen’s breast cancer mother, Vietnam osteosarcoma patient Ruan Wenduo and every patient who is fighting against cancer now, we only hope that miracles will come to their life. The Loving Care for Little Jingwen and her mother is still moving on. 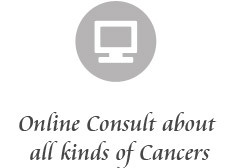 We will soon open various channels to give our Loving Care to more cancer patients in need. With the mission, on the way of public benefits and philanthropy, Modern Cancer Hospital Guangzhou will always keep moving!